Where the Korngasse meets the Maximillianstrasse is the builiding of the Alte Muenze (Old Mint), in viewing distance from the Cathedral and the Altpoertel. 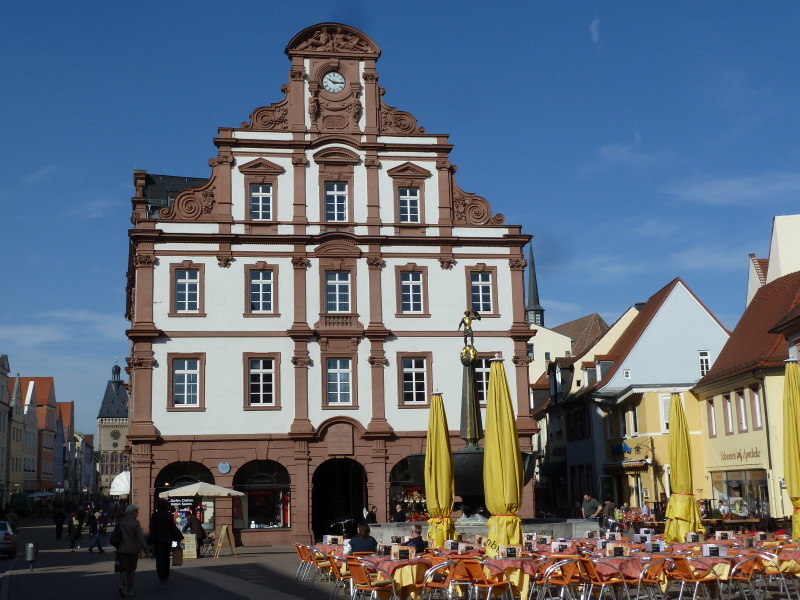 It stands where the former mint was, and the face is one of the landmarks of Speyer. The place in front is frequently used for events, and the biggest one is the christmas market. This building also hosts one of the official webcams of the town.